I’ve always considered Camp Takodah an integral building block in who I am today. Starting in 1983, Camp taught me to connect with others, appreciate the world around me, and live my life with unique character as I work to “do a little good each day.” I am proud to be a Takodian, but even more so I’m proud to be a father of two Takodians. If you’re like me, all you want is for your kids is to feel confident, be safe, make new friends, go on to be happy with themselves as individuals and enjoy the lives they build. Like you, my family works hard to provide them every chance for a leg up, a positive experience, the right school, the right extracurriculars, and so much more. Sometimes it seems like all we can do is cross our fingers and hope. But then there is summer at Camp Takodah, the true “easy decision” in my parenting life. Every time my boys, Justin and Connor, come home from Camp, we can see the growth. It’s immediately clear to us that each day they spend at Takodah is a day well spent. They come home more grounded, confident, respectful, and relaxed with a belief that they can handle whatever comes next. Sending my kids to Takodah is one of the best things I do as a parent, and although it’s a financial sacrifice, it’s unquestionably a good investment. Of course, that gets me thinking about those who need a little extra help to provide their kids with a positive summer and a lasting personal experience. I am a proud donor to and volunteer of the Takodah YMCA. I give because I believe in our mission. Many of you know that every year we focus on raising scholarship dollars to support the many families that otherwise would not have the life-changing experience of Camp Takodah. We are committed to not turning away anyone because of their family finances. I’m asking you for your help in building a strong tomorrow for the youth of today. 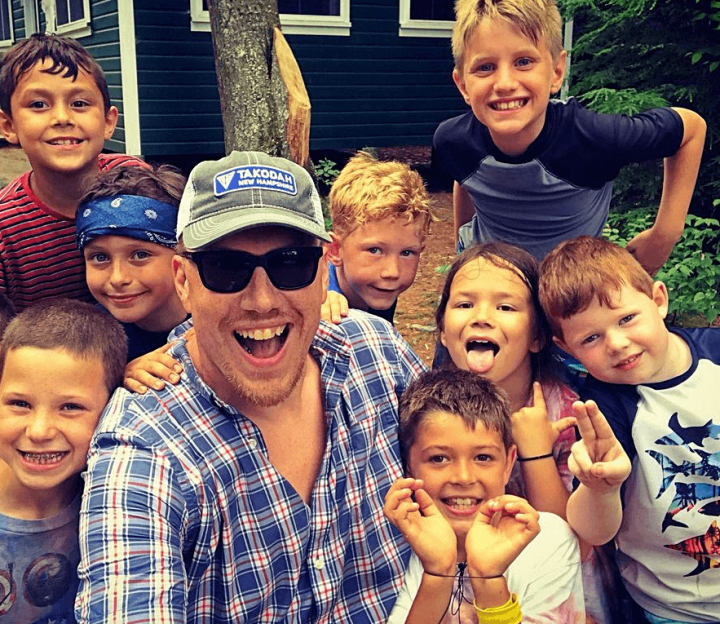 Will you join me – and many other alumni and parents – in supporting Camp Takodah’s commitment to camper scholarships? The clock is ticking down to Opening Day and there are kids waiting to hear that “yes.” Please donate today and let’s make sure every child who wants to go to camp can join us this Summer! Every donation you provide is guaranteed to produce a session full of smiles in return. Thank you for your time and consideration.